What to Look For in a Dog Running Harness? Why Should I Buy a Running Dog Collar? When you first plan to take your dog out running with you, think about all the ways to keep your pet safe and secure. Not only will you need a quality leash you can rely on, but also a harness that ’s made for running to assure comfort and movability. Getting a harness for running can help when you bring your furry friend along on your jog, without having to worry whether he or she is safe and comfortable. Deciding on picking the right one might be a bit overwhelming since there are so many on the market. I’ve owned several harnesses in the past, and have narrowed down top favorites. These three harnesses are highest ranked and positively reviewed by not only myself but as well as many other pet owners who still to this day use and recommend these products. 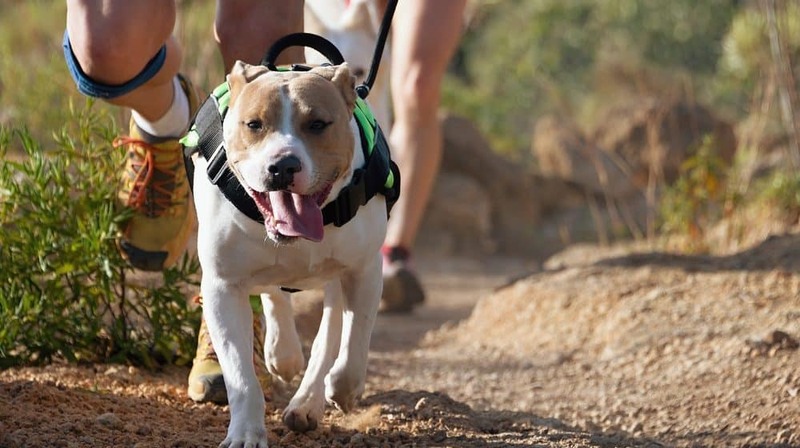 Below are the three best dog harness for running. If you have a large breed that you’d like to bring along on your daily running session, this is one of the best harnesses you can purchase. It comes in size large, and it’s somewhat adjustable within that size measurement. The front chest size is adjustable so you can go up or down depending on your dog’s exact size. However, make sure to measure him or her accurately before purchasing just so you’re sure it will fit. The Bondpaw features two welded D rings in the back and front. The front clip is mostly used to stop canines from pulling safely and without any discomfort. It’s made of nylon which gives it a certain level of durability as well as comfort. It’s soft on the skin and won’t irritate your pet’s body. Also, it handles weather pretty well, too, so you don’t have to be extra careful not to get it wet. Use the handle to secure the hold over your canine in certain situations in which you’d need more control. It comes only in black but it’s ideal for all large breeds that are fond of accompanying their owners for a daily jog. This is our choice when it comes to choosing a high rated running harness. If you’re looking for an eco-friendly option, this product is a great deal. It’s ROSH tested, soft, durable and non-toxic. The PoyPet brand is used recycled water bottles for the straps, while the rest is made with breathable air-mesh material that’s designed in a way to prevent choking. It’s padded, comfortable, and durable. Now, the comfort this product provides during running is why most owners opt for it. Precisely, it has double padding that gives the ultimate comfortable feeling your pooch could never get from running on a leash. The mesh material, as well as the ergonomic design, make movements easy and natural. The polyester makes this one of the most durable harnesses for running on the market. In addition, the PoyPet is reflective which makes it easy for everyone else to spot your canine if you’re ever running at night. It comes in sizes from small to extra-large, so make sure to measure your pup before purchasing. If you find that you’re somewhere in between sizes, the manufacturer recommends you choose the bigger size. Also, it comes in different colors such as black, green, and two shades of orange. This brand comes in three sizes to choose from after you measure your pooch accordingly. It’s ideal for larger breeds, so sizes range from medium to extra-large. What makes it great for running is that it’s a no-pull harness that prevents discomfort if your canine pulls on the leash. It goes around the chest and neck area and protects them. The strap is adjustable so even if your pup is a bit small or big, you can adjust it to fit better. Plus, it’s reflective, which is something many runners look for in harnesses. It’s especially convenient if you like running at nighttime. 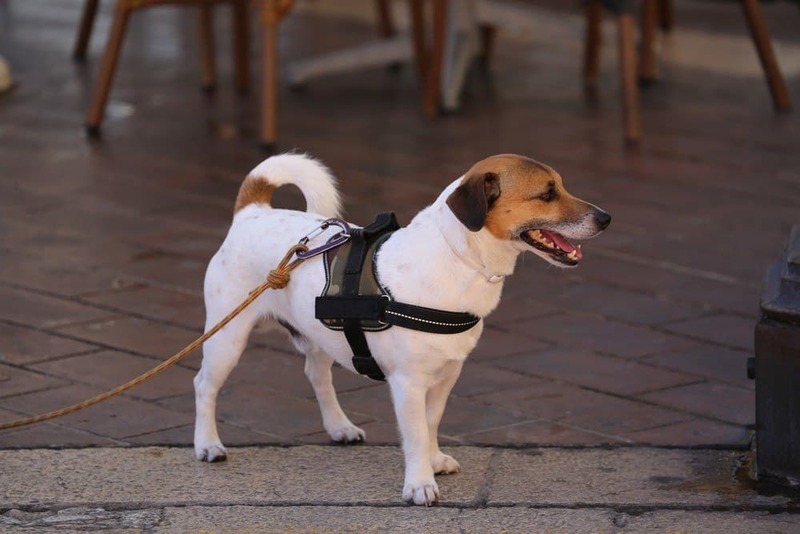 The Bonve brand features an extra handle that you can use to control and hold your pooch when needed. What’s great is that you can use this same harness for many other outdoor activities such as walking and training, as well as running. It’s made of fast-drying fabric that makes it easy to maintain, clean, and dry. It’s breathable, comfortable, and durable. There are a few things you want to keep an eye on when it comes to running harnesses. These factors assure that the running experience is comfortable and safe for both you and your Pet. Adjustable – You should be able to have the ability to adjust the straps a little to achieve the best fit for your pup. Yes, you have to measure your dog and choose the size accordingly, but you should still be able to make minor adjustments since not all large breeds have the same chest size, for example. Reflective details – these are especially convenient for all canine’s whose owners like to run at night. There are several harnesses have reflective stitching or some other feature that glows in the dark. Comfort – probably the most important thing is making sure they’re comfortable wearing the harness you chose. Much like the harness for hiking, a harness for running has to be comfortable, otherwise, he or she simply would not want to wear it. Make sure to choose one that’s made of breathable materials and is also padded. Security – there’s no use of a harness that’s not secure enough and allows your canine to slip out. The design itself affects safety, but it’s also important you make sure to tighten all straps. If you have never used one on your pet before, make sure to learn exactly how to put one on and test it a bit before you take them out for a jog. Putting the harness on the right way is essential for security. Finding the right harness might be a little tricky if you’ve never bought one before. There are a few things for you to consider, and that’s why it’s best for you to have a better knowledge of harnesses. The answer to this question lays in comfort and support. 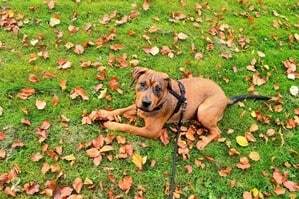 Your pup will feel much more comfortable wearing a harness over a leash when it’s running. Harnesses support its chest area while leashes go around its neck and may cause discomfort or even choking and gagging. 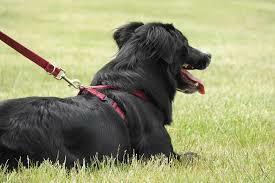 If your canine pulls on a leash, consider a no-pull harness instead. If I had to choose one of the three harnesses, it would be the Bondpaw Dog Chest. The reason most people opt for this product is due to its quality and level of comfort it provides. It’s easy to use and ensures you have a fun and safe run with your canine. Make sure to think carefully about the factors that are important when choosing the best harness for running. You also want to make sure that your dog stays hydrated with all the running! So always try to bring a water bowl with you. All three of the models mentioned above are the best dog harness for running; stated by pet owners who often take their canines out for a jog.